Located in Historic Springfield (close to Downtown). This energy efficient apartment was completely restored in 2010. Its design type is frame vernacular with Mediterranean revival influence. It has one bedroom, one bathroom, plus a bonus room with lots of natural day lighting. The updated kitchen is bright and airy with ample cabinet space and a stackable washer and dryer. Recently restored, this historic building features built-in storage, a non-working fireplace, and impeccable hardwood flooring throughout. Each apartment also includes a private porch, as well as new HVAC, plumbing, and electrical. 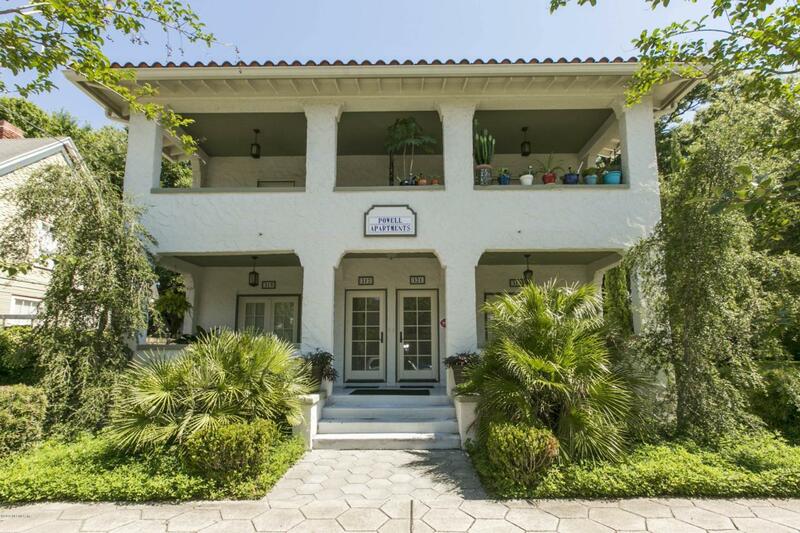 This property is conveniently located close to Florida State College, parks and downtown entertainment. No Pets Allowed. Smoking Prohibited.